With a million and 1 things to do before the baby arrives, I’ve been sneaking in some “me” time as often as I can. 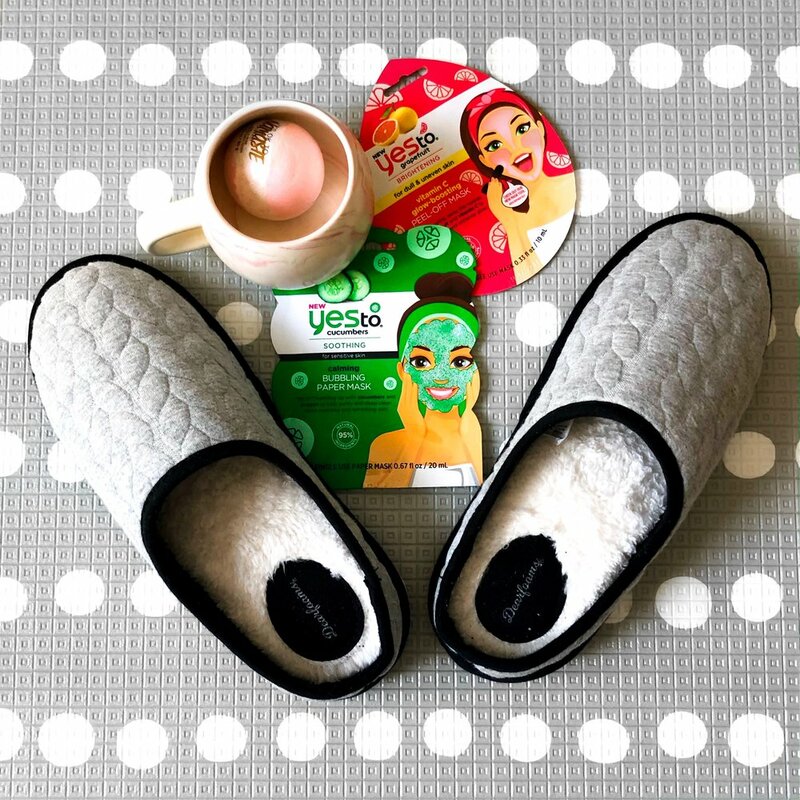 Thankfully, every moment feels like a pamper session thanks to my new slippers from Dearfoams! 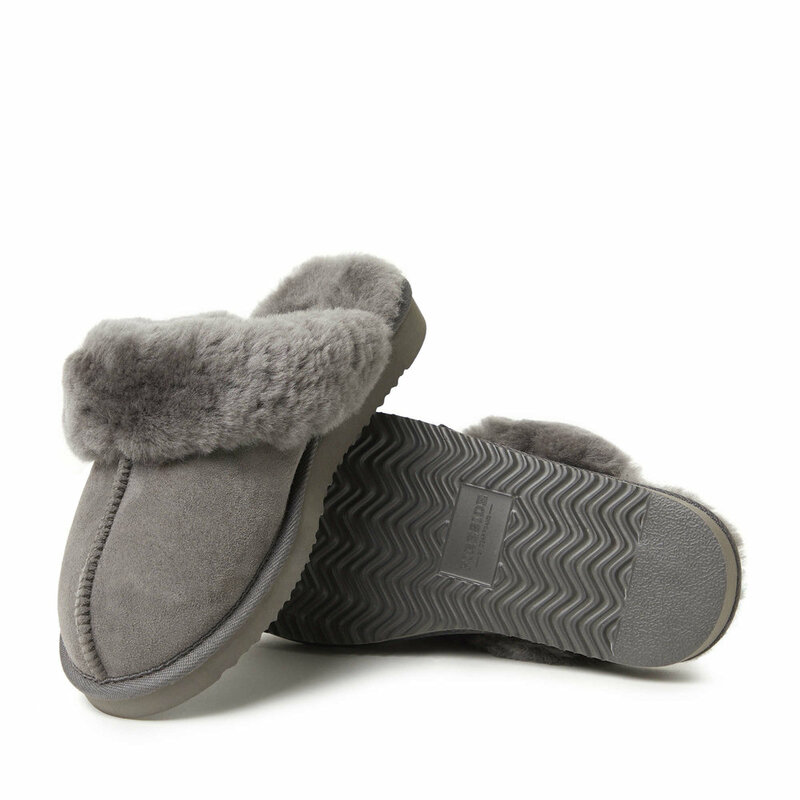 My Ashley Cable Quilt Bound Clog style slippers are made with Dearfoams’ StepFoam, their famous memory foam! You read that right, MEMORY FOAM SLIPPERS. Does it really get any better than that? With my new Dearfoam slippers, even folding laundry can be fun! Mom life at its finest: laundry and donuts LOL. But at least I’m comfy in my new slippers! With Mother’s Day just around the corner, I can’t think of a better gift idea than a pair of gorgeous, comfy slippers from Dearfoams! They have styles and colors to please any mom… no matter what her style is! Check out my faves below! 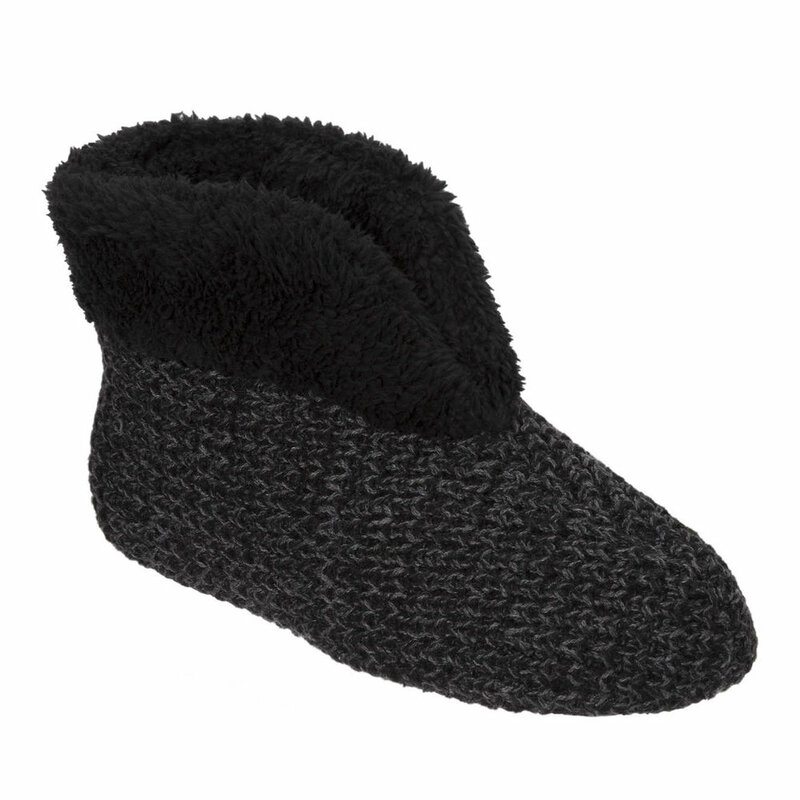 They have moccasins, slipper socks, booties and ballerina slippers! They even have amazing styles for men and kids! Spoil your mom, sister or bestie with an amazing pair of slippers from Dearfoams. You won’t regret it! 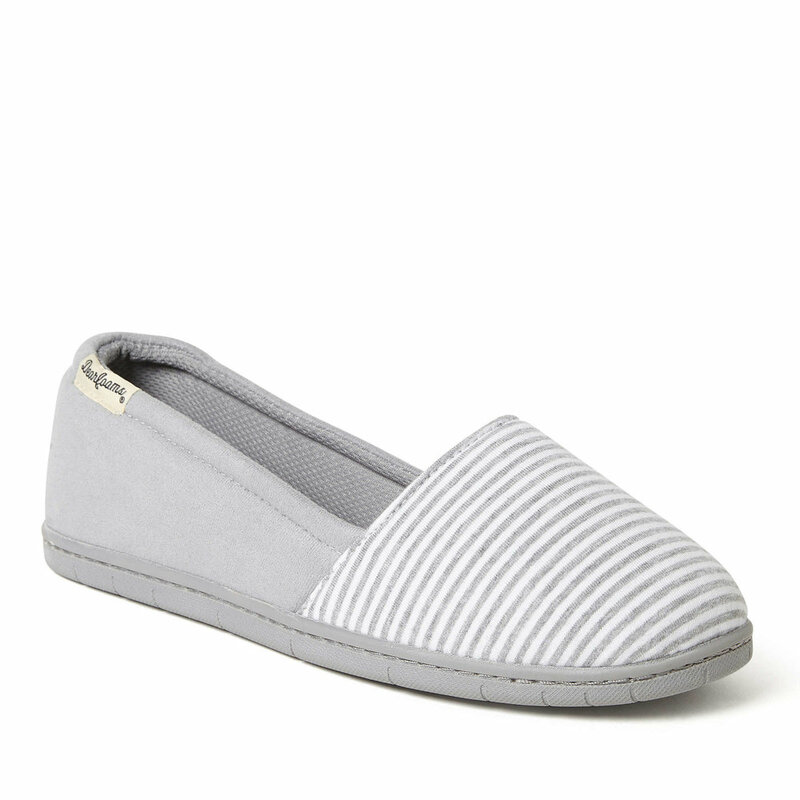 I already have a Wishlist ready for my hubby this Mother’s Day, and since I’ll then be a mom of two, I think I deserve more than 1 pair (or at least that’s what I’m telling my husband). And make sure to tag me in a picture so I can see which style you chose!!! Click here to visit the Dearfoams website to see all their gorgeous styles! A car seat for a new parent is such an important accessory and tool. You’ll likely use it as much as any other baby product and it’s not something you’ll want to replace after a few months. The right bucket seat can be used for multiple kids and so I’m here to give you my top 5 tips to choosing the perfect one for your growing family! Find one that is easy to install! Nothing will test your patience (and your marriage) quite like installing a car seat that is hard to figure out. The Chicco KeyFit® 30 Infant Car Seat has a ReclineSure® Spring-Loaded Leveling Foot that adjusts to your vehicle’s seat angle as well as a RideRight® Bubble-level Indicator to show when a proper base angle has been achieved so it helps take the guess work out of the installation process! Find a bucket seat that is light. Newborns and babies sleep A LOT and have a tendency to fall asleep in the car. You will likely just snap out the bucket and carry it into stores to avoid waking up your newborn to put them in a stroller. The Chicco KeyFit® 30 Infant Car Seat weighs only 7lbs so your back will thank you! Find one that will grow with your baby, regardless of the size it’s born at. Finding a bucket seat with an infant insert will be amazing for your first trip home from the hospital and for the first month at home. It’ll be even more important if you have a premie! And find one that will accommodate a rear facing baby for as long as possible! Find one that is safe. Do your research, read up on car seats and make sure they meet all the safety standards of the country you live in! We chose the Chicco KeyFit® 30 Infant Car Seat because it is lined with energy-absorbing foam and is equipped with a five-point harness that quickly and easily adjusts for an accurate fit, using the one-pull harness adjustment. Find a carseat that you can easily clean. Messes. Will. Happen. And a lot more often than you think. Having a car seat that can be wiped down will save you time, tears and energy! Our Chicco car seat is made with fabrics that may be spot-cleaned with mild soap and water or machine-washed in cold water on delicate cycle using mild detergent. Most car seats we came across did not have covers that could be put in the washing machine so we absolutely LOVE this feature! For more information on our Chicco KeyFit® 30 Infant Car Seat click here! This blog is sponsored by AfterShokz and PTPA Media. As always, all opinions and views that I have expressed are my own. They say that as a second time mom, everything seems to go a bit more smoothly. You’ve learned from your mistakes the first time around, you know what to expect and you know exactly what you need. This is absolutely true when it comes to hospital bag essentials! The first time around, I packed everything but the kitchen sink. I could have literally lived at the hospital for months with what I packed, but there were deffinitly some items I overlooked and I won’t make the same mistake twice! Curious what my unexpected hospital bag essential is? AfterShokz Trekz Air wireless headphones! Let me tell you why: They use bone conduction technology so you can listen to your music while still being able to hear exactly what is happening around you. This means, you can play whatever music you want during labour and you’ll still be able to hear instructions from your doctor or midwife while also being able to drift off into your zone and find the strength to get through labour! I wish I could have had some awesome music blasting while delivering Zane! It definitely would have helped me relax and focus on pushing instead of everything that was happening around me. After labour, what better way to relax than to drown out the sounds of the typical hospital environment with your fave beats, but still be able to hear your new little baby cry when they’re hungry or have a dirty diaper? The wireless headphones mean you won’t be tangled in cords or risk getting one wrapped around your baby, so there’s no need to remove them, even while breastfeeding or changing diapers! Finally, because they boast dual noise canceling microphones which exclude surrounding noise, you can answer all your congratulatory phone calls from family and friends without missing a beat or worrying about them not being able to hear you! With a baby in one arm and an IV in the other, it wasn’t easy holding a phone up to my ear after my son was born to talk to all my friends, but with AfterShokz Trekz Air wireless headphones, I don’t have to worry about that this time around! 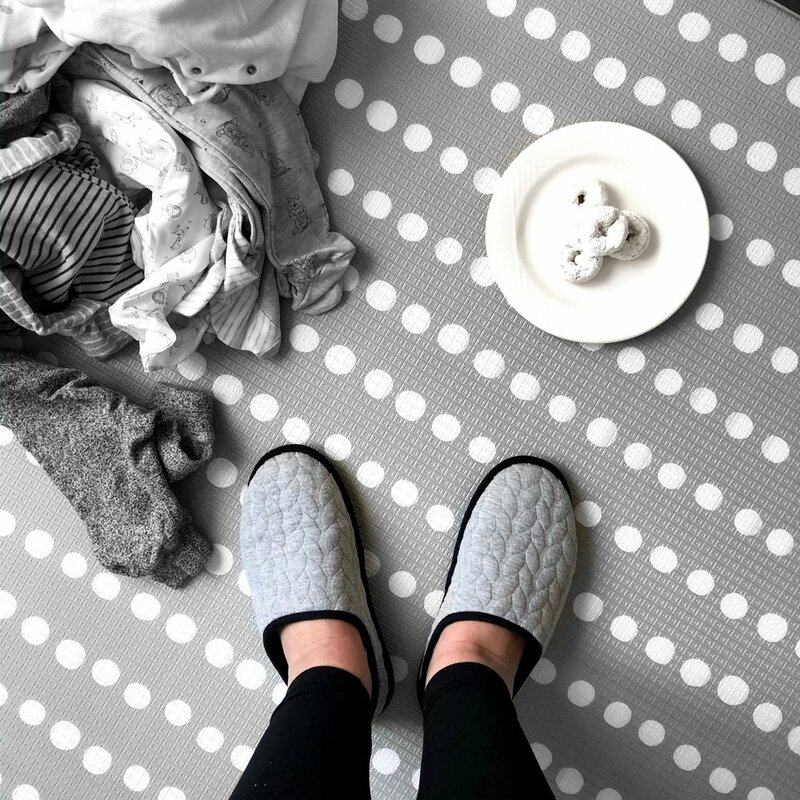 They’re so practical for mom life and you’ll find use for them even when you’re home with your new baby! Breastfeeding can be tough and somewhat isolating - especially at night. You don’t want to start turning on the TV because it will stimulate your newborn, so often you’re in a quiet dim and dark room for the better part of every night. With AfterShokz Trekz Air wireless headphones, you can bring along your favourite podcast, meditate or listen to your favourite song without disturbing your feeding newborn. Because they’re wireless, cords won’t be an issue and you can have both hands free to cuddle and nurse. I know that the AfterShokz Trekz Air wireless headphones will be a lifesaver during my hospital stay this time and I’m so thankful that I discovered them in time for my delivery! Be prepared to see them in a lot of my hospital pictures! If you want more information on these must-have wireless bone conduction headphones, CLICK HERE. They make a great gift for anyone in your life and an even better gift for yourself :). AfterShokz Trekz Air wireless bone conduction headphones are the MUST have accessory for every parent and fitness enthusiast! They’re light, wireless… but here’s the part that will blow you away: they use bone conduction technology so you can listen to your music while still being able to hear exactly what is happening around you. It means you can go to the park with your kids and listen to your fave podcast or song without jeopardizing their safety - you can bike ride down the street while still being able to hear the cars that are around you, and my personal favourite, you can do a quick nap time work out routine while blasting your favourite beats but still be able to hear your baby cry when they wake up! AfterShokz Trekz Air headphones not only make sure that you can hear your favourite songs and podcasts, but they also boast dual noise canceling microphones which exclude surrounding noise - so you can pick up that quick business call and have your colleagues hear you perfectly even when you're in the middle of a playground! They basically allow you to be handsfree to play with your kids and stay on top of “mom duties” at the park, while being able to answer calls and listen to music! I tested out the AfterShokz Trekz Air headphones this weekend and can't say enough good things about them! For starters, I'm a total sucker for beautiful products, and these headphones are STUNNING. Mine are in a deep matte red called Canyon Red, they feel so lightweight on my ears and it's almost unbelievable that I can put them on and hear everything that is happening in the world around me! They come equipped with a charger and super sleek and gorgeous carrying case too so that they can stay protected when you aren't using them. I put them to the test while Zane was napping. Normally, I try to be as quiet as possible while he sleeps because a tired and cranky toddler is no fun at all! So I usually end up doing my stretches and yoga in complete silence... which for some may be great, but I looooove listening to my music. I don't like traditional headphones for a few reasons: 1. I get caught in the cord while moving from pose to pose and 2. I can't hear when Zane wakes up if I have my headphones in! With the AfterShokz Trekz Air, I was able to blast my music, really feel relaxed and "in the zone" while doing my quick workout and the moment Zane woke up, I heard him crying as clear as day. It's really incredible how I managed to survive motherhood this long without having a pair of AfterShokz Trekz Air headphones! My only issue now is going to be convincing my husband that they are mine and he needs to get his own! I am so excited for this summer when we take our walks to the park with my son and soon to be arriving new baby. It will be such a change to be able to relax and listen to a podcast outside while Zane plays, but still be able to hear him call me if he needs help or wants my attention. Every year I go on the hunt for a new planner. Not because it’s a task I particularly enjoy… but more so because I haven’t found one that has it all. Durable enough to last an entire year, equipped with enough tools but not overwhelming, a great layout, and gorgeous. This year I stumbled upon Lake and Loft, and they will now have a customer in me for the rest of my planner days! First off, the details. The gold corner accents and gold binding rings tug at my heart. This planner is such a piece, that it can sit on a desk as decor and doesn’t need to be tucked away when I’m cleaning up. It comes equipped with pockets at the front and back so store loose papers and the fun stickers that come included! The first section is Dream - pages filled with “Big Ideas” and “Minor Details” so that you can map out how to conquer the year and every idea, thought and inspiration that comes to mind. Whether it’s inspirational quotes, the next great business venture, or just some room decor inspiration, this section is where I would put everything that wanted to keep track of, but didn’t need to access on the daily. The second section is Plan - self explanatory! It has gorgeous tabs that separate the months. Each month begins with the most important thing: DREAM, GOALS and PLAN OF ACTION. I love writing down my goals for the month. It helps keep me focused, on track, and when I feel discouraged, I can quickly look back and remember why I’m doing what I’m doing. Each month also has a budget section where you can write down bills to pay and keep track of your money coming in and out. There’s even a section to write down what you’re saving up for! A necessity for me is a monthly calendar view - I like to be able to see what’s coming up at a glance. Finally, each monthly section is broken down by weeks, making it super easy to write down daily tasks, write weekly to-do lists and there’s even a little section for Weekly Wins. Not every week will be huge… nor super successful, but this weekly win section will help you focus on the positive and keep your drive going for the weeks to come. This yearly planner is filled with such cute extras, such as Thank You and Happy Birthday Post Cards at the end, making it super easy to send a beautiful note to someone special while you’re on the go and busy running the world! Click here to check out my planner along with all the other styles! Lake and Loft has so much else to offer besides planners! I also got my hands on the big ta-do™ weekly checklist! These tear off sheets have beautiful gold edges, tear apart by day so that you can bring one list at a time with you and are on thick cardboard, making it oh so luxurious to write. Writing to-do lists has never been so fun!!! Disclosure: I have partnered with YMC and Armor All and have received compensation for this post. All opinions are my own. Between daycare pick up and drop offs, my daily commute to work and all the errands we run on the weekends, my car often feels like my second home. A second home that doesn’t get cleaned daily (unfortunately). No one warned me how chaotic driving around a 2 year old would be… and throw my snack stealing Boston Terrier into the back seat mix, and I have a guaranteed headache. I wouldn’t say that driving with both of them is relaxing and our daily commutes never used to be something I looked forward to... until now! Thanks to Armor All’s new Essential Blends air fresheners, I can escape my commute and imagine that I’m in a spa, doing yoga, or just sitting in silence at home (yeah right, I’m a mom… I don’t get silence at home :) ). Made with essential oil blends, their air fresheners can help you leave the traffic behind, with blends such as: Energize, Awaken, Focus, Calm and Refresh. The fragrances come as either a hanging diffuser style or as a vent clip! I used both :). The first one I tried is REFRESH which has a gentle but awakening Eucalyptus Mint scent. The vent clips make it easy to put the air fresheners in the back seat (which in my case is necessary!) and the incredible and unique scents will help you escape your commute! The scents include: Citrus Pomegranate, Pink Grapefruit, Eucalyptus Mint, Lemon Bergamot and Vanilla Lavender! Armor All is encouraging Canadians to take time off from the stress of daily traffic and try their Essential Blends air fresheners! They’re even making it a bit easier to get a head start by offering an Escape Your Commute Contest! Prizes include 25 Grand Prizes of WaySpa Gift Cards (valued at $150 each), 10 Instant Prizes of Armor All Product (valued at $100 each) and Frequency Essential Blends air freshener prizing. Enter the contest by visiting the essentialblends.ca website!